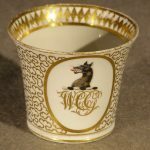 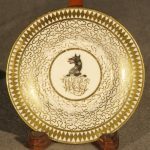 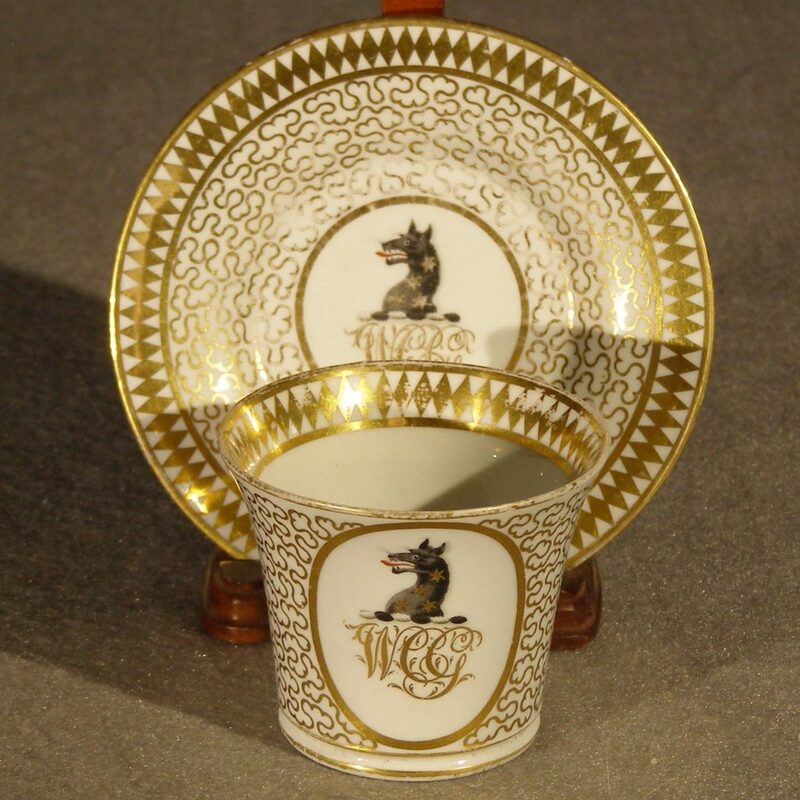 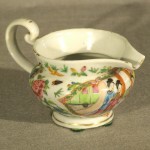 A fine quality single cup and saucer bearing a family crest of a red tongued wolf above a bannerole with the initials WCG (?) 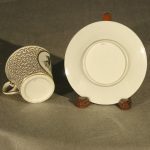 Though there is no factory mark both pieces have pattern number 440 on the undersides. 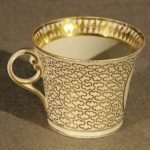 Light rubbing of the gold mostly on the rim of the cup. 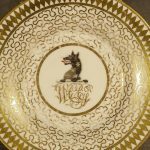 There is a barely visible star crack on the underside of the saucer.